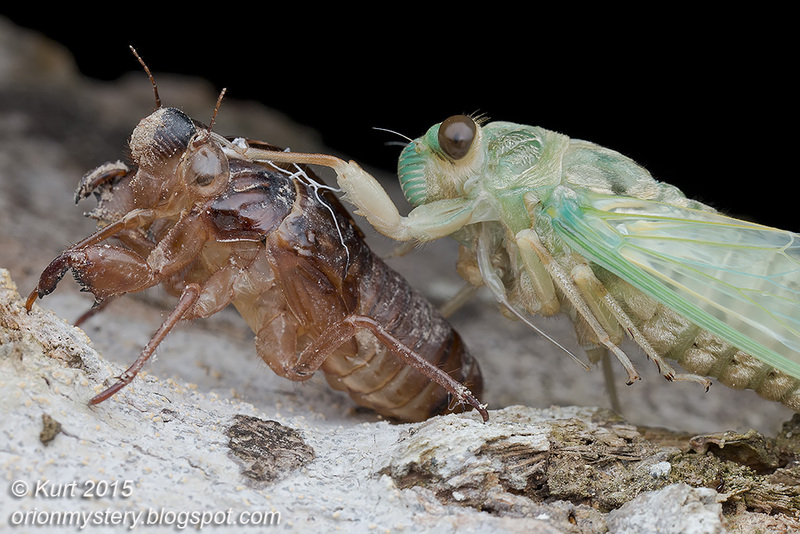 Newly emerged cicada resting on its old skin while waiting for its exoskeleton to harden. One-man backlighting shot. Camera in one hand and speedlight the other. Malaysia. 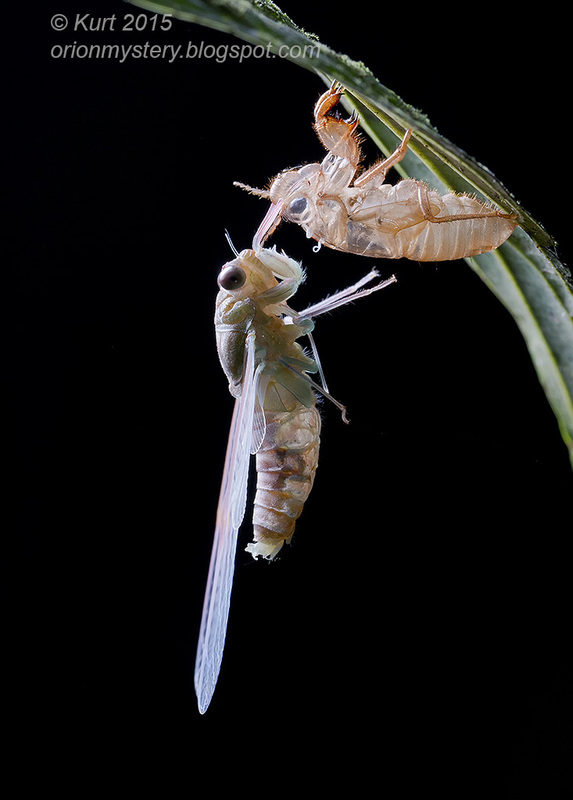 A different newly emerged cicada. Not exactly how I wanted it but at least I can see the glow now. Had to use high ISO, low shutter speed and big aperture though. No flash, just diffused focusing light. Lamprigera sp. firefly beetle enjoying snail meal. Malaysia. 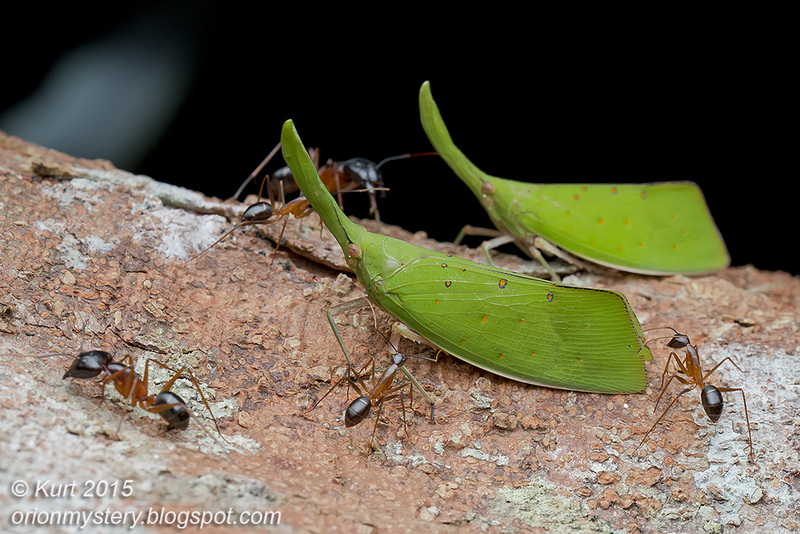 Trophobiosis between lantern bug and carpenter ants (Camponotus sp.). 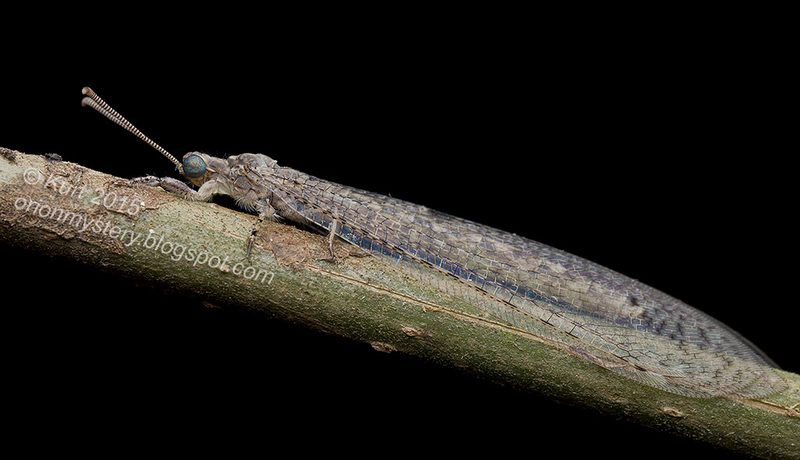 The lantern bug are <i>Pyrops cultellatus yoshiakii</i> Nagai & Porion, 2002. Malaysia. 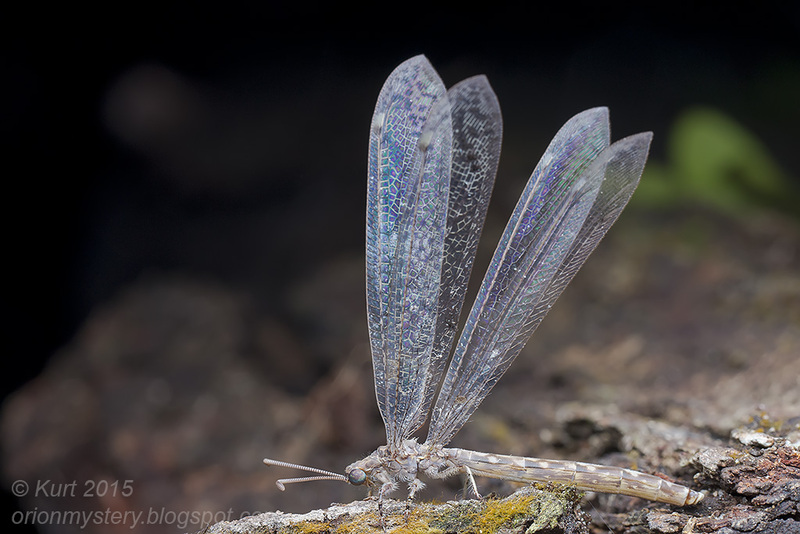 Beautiful antlion. 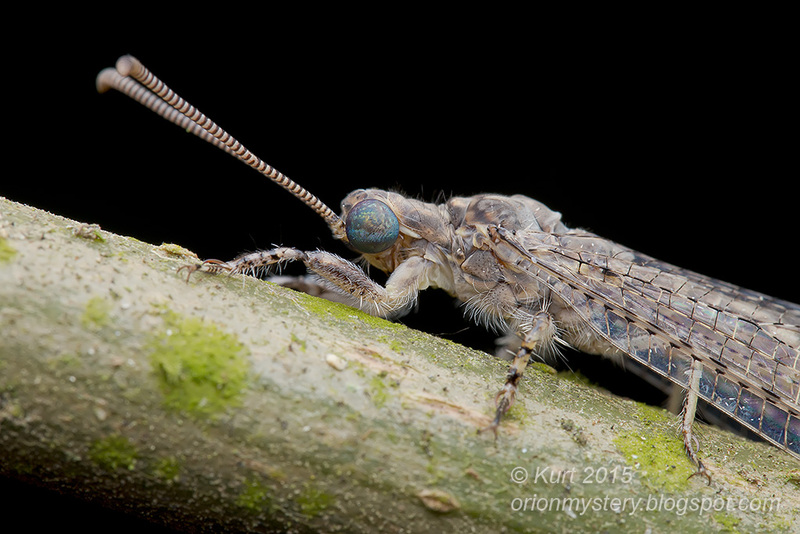 Distoleon sp.? Malaysia. 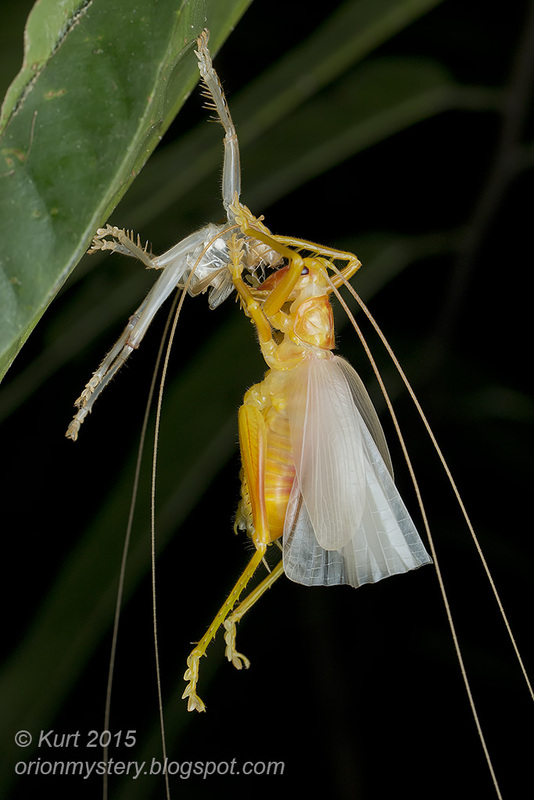 Raspy cricket (Gryllacrididae - info credit: Geonhyeok Kim )d that'd just molted and was still hanging onto its old exoskeleton. Selangor, Malaysia.